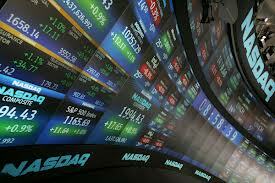 Stock Market index is a method to statistically measure the value of a batch of stock. It is a tool to track an overall progress of the market and to compare the returns on investments. There are several types of indexes (also called indices) based on their calculation and need in the market, including price-weighted index, composite index, market-value weighted index or broad-based index. Price weighted index track changes in the stock market based on the per share price of an individual stock. For example, suppose you have a portfolio that consists of two stocks: Stock X worth $15 per share and Stock Y worth $45 per share. A greater proportion of the index will be allocated to $45 stock than to $15 stock which means $45 stock will be two times higher than the $15 stock. Therefore, if index consists of these two stocks, it would reflect a $45 stock as being 67 percent, while $15 would represent 33 percent. And it shows that a change in value of $15 stock will not affect the index’s value as much as the other one would do. Composite index is a combination of several indexes and averages. It measures the performance of all the stocks in a stock market. The composite index consists of a large number of factors which are averaged together and form a product. This product represents an overall market and is a useful tool to measure and track the changes in a price level to an entire stock market or sector. An example is a New York Stock Exchange and NASDAQ Composite Index. This index provides a useful benchmark to measure a performance of an investor’s portfolio. Your Personal Financial Mentor will always advise you to hold a well diversified portfolio in order to minimize the risk of your investment and this index will provide you a reasonable basis to evaluate your portfolio. Market-value weighted index or a capitalization weighted index is a stock exchange index in which higher weighting is given to shares of those companies that have a greater market capitalization. Let’s suppose you have a portfolio of 1 million shares of $45 stock (Stock Y) and 20 million shares of $15 stock (Stock X). The Market Cap (market capitalization) of ‘Stock X’ will be $300 million whereas market cap of ‘Stock Y’ will only be $45 million. Therefore, in a market value weighted index, Stock X represents 87 percent of the index value and Stock Y represents 13 percent. Broad-based index provide a snapshot of the entire stock market. It is used by most investment professionals as a benchmark to compare their progress. Example of these indexes is Wilshire 500 and S&P500.